Second, the NUG arrested and handed over Uyghur extremists to China and Pakistan Tehreek-e-Taliban leaderLatifullah Mehsud to Pakistan. The first Quadrilateral Cooperation Group (QCG) on the Afghan peace and reconciliation process was held in Islamabad on January 11, 2016, on the sidelines of the fifth conference of the Heart of Asia-Istanbul Process in Islamabad. In its first meeting, the QCG called the ongoing violence in Afghanistan “senseless” and identified an “immediate need” for direct talks between the Afghan government and Taliban representatives. In the thirdmeeting, a target was set for talks to be held in late February 2016; in the fourth meeting the deadline was extended. 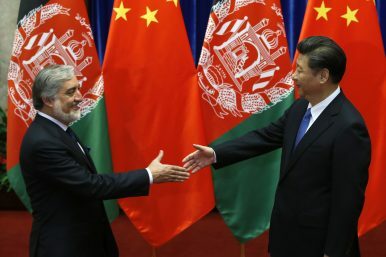 The Afghan government welcomed this development and was “deeply grateful to the United States and China for their continued support.” However, in the end, the Taliban’s statement rejecting participation in the QCG shattered hopes for peace talks.